We have been excited about the “Connected Learning” movement for some time at the Kean University Writing Project, and our team has been thinking about how to incorporate connected learning principles into our overall Invitational Summer Institute experience for our new Teacher Consultants. I thought I would share a bit on my own entry point into this work as a way to illustrate why I think “Connected Learning” is so important for today’s educators and their students. As a literature professor, I have a passionate new research focus on Electronic Literature. ELit (otherwise known as Digital Literature) is a literary genre born entirely in a digital environment. ELit requires digital computation in order to be read. 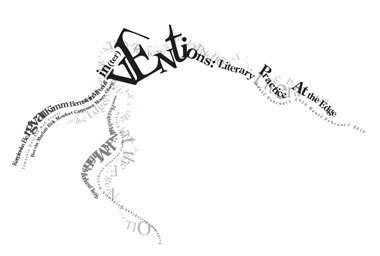 These literary works might include links, generative aspects, multimedia content, animation or reader interaction in addition to the actual text, the actual words. As I have been engaging this exciting new field in literary studies it has become apparent to me that in order to really read these texts (in the sense of practitioner close reading), one would also need to develop the skills that would allow one to understand the “back end” or code involved in producing these texts. So, as I have been facing this scholarly challenge, I have also been wearing my other professional hat as a National Writing Project Director. In this context, I have been thinking so much about 21st century literacy skills, and what it means to be digitally literate in this day in age. It is often said that our students are digital natives and that they are born into a tech-steeped world. (Perhaps you have seen that YouTube video of a baby that tries to swipe a magazine page because she assumes the analog text will work like a tablet). To be nimble with technology is perhaps second nature to our students. But I think we need to look more closely at this assumption. I think our students most definitely have a level of comfort with technology due to its ubiquity in their everyday lives. But that doesn’t mean that they are digitally literate, which is the source of our profound challenge as educators. Students play games and are quick to use apps, but the do not know how to write that new media world that they exist in. In short, they are more likely to be consumers, but not producers of new media. Said another way, perhaps they can “read” an electronic environment, but they cannot necessarily write it. This crucial distinction is why it became so apparent to me that the “Connected Learning” movement is a vital engine for preparing our students to read and write and to think critically in a digital age. “Connected Learning” is about reimaging the experience of education in the information age. It draws on the power of today’s technologies and embraces hands on production and open networks. Many teachers feel overwhelmed by the prospect of using technology and digital tools in their classrooms. But the embrace of digital tools to enhance learning potential can be such a transformative part of teacher professional development. At the Kean University Writing Project, we use to have a choice of “tracks” that a new Teacher Consultant could choose from at the on-set of their own Summer Institute experience. One of those tracks was the “Tech” track. In other words, gaining more facility with technology and digital tools was an option. Gaining more digital confidence was essentially an elective. But for the first time this year, we are taking a new approach. And I know this is an important paradigm shift for us at the KUWP: Tech is no longer a track to be selected, but instead, “Connected Learning” principles will be inherently woven throughout our entire Summer Institute experience. We are all participating in the MakeLearningConnected MOOC (better known as#clmooc). Everyone will be gaining further facility with digital tools and open networks throughout the course of the Institute. And with this embrace of digital tools and making, therein lies an essential identity shift for teachers. Teachers also become designers. The emphasis on the idea of making – an embrace of a more production-oriented approach to learning, will offer all of us some inspiring examples of peer-supported learning and interest–driven learning. By embracing “Connected Learning” not only will teachers build a new professional learning community for themselves, but they will practice the kind of creativity that will eventually catch a spark in their own students. The weekly #clmooc “make cycles” will give all of us at the Kean University Writing Project a chance to tinker and make. In addition we will have face-to-face lunch workshops during the Summer Institute which will give us the chance to share our “makes” and chat about new digital skills that we have acquired. This is always fun and informal, but it tends to be the glue that seals a teacher’s new digital confidence. 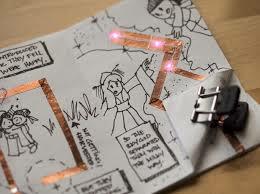 In particular, I look forward to the very special “Paper Circuitry” workshop we have planned. The KUWP Makerspace will lead a “Hack Your Notebook” project that combines the traditional paper notebook with LED lighting circuitry. I know we will have fun lighting up our writing, our artwork, our ideas! We will also be hosting innovative educator, author, and maker Meeno Rami on Thursday, July 10, 2014, for a day of conversations and workshops focusing on the art of “hacking your writing”. We will be sure to share this work through live webinar, sent out to everyone in our global network. Finally, our culminating collaborative “make” will be the KUWP E-BOOK. We are planning on pulling together some evidence of the “learning pathways” experienced by different members of the KUWP community over the course of the 5 weeks of #clmooc. I cannot attest for what will emerge yet, but that is the beauty of it! We will try to include both our “lightbulb moments”, and our “fails” as well. I hope the compilation will be at heart a reflective e-book on “Connected Learning” in an open network.